Tony Award-winning funny lady Randy Graff heads to 54 Below on February 17 and March 5 to debut her new show Made in Brooklyn. The evening of song celebrates artists from Graff’s hometown of Brooklyn, New York, so fans can expect tunes from Streisand, Carole King, Gershwin and more. In addition to her Tony-winning star turn in City of Angels, Graff appeared in 10 Broadway shows, including the original productions of Grease, A Class Act (Tony nomination), Moon Over Buffalo, High Society and Falsettos, as well as the revival of Fiddler on the Roof. 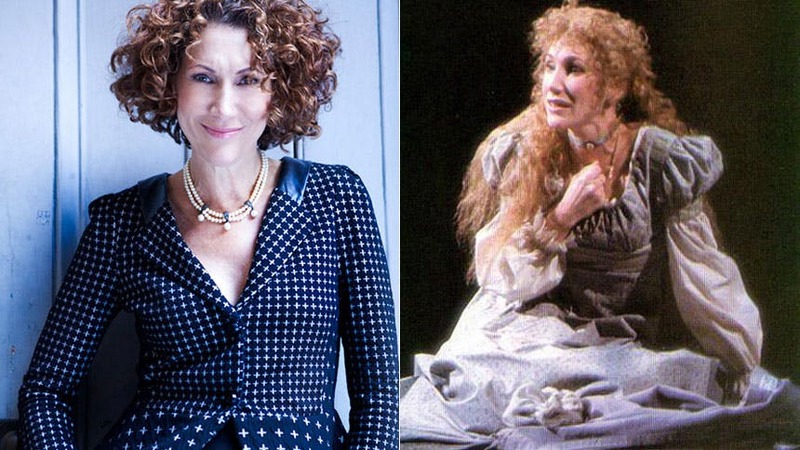 But when BroadwayBox caught up with Graff to ask her about the role and the show that changed her life, she recalled her experience as America’s original Fantine in the Broadway premiere of Les Miserables in 1987. "Fantine was the first really big game-changer where I noticed a difference in opportunities. There was so much buzz around Les Miz; everyone saw it, so I had a lot of visibility from that. I started to get seen more for movies and more dramatic roles (because Fantine isn’t a really funny girl, ya know). Right after Fantine, there was a casting director who asked me if I would want to do Nancy in Oliver! in some theater in the regions, and I said, ‘No, no abused women for a while.’ After playing a beaten up, down-and-out whore, I just wanted to try something different honestly." [As it happens, Graff’s next role on Broadway was as the funny Girl Friday in City of Angels]. And what was it like being the first person to sing the iconic “I Dreamed a Dream” on Broadway? "Actually, I think I was the first person to sing ‘I Dreamed a Dream’ in the U.S. When the movie came out, I went back and started to think about it. When we were in rehearsal they were having the Kennedy Center Honors, and [director] Trevor Nunn came to me and said, ‘We thought we would have you sing ‘I Dreamed a Dream’ but we really don’t want it sung for the first time in this country on a TV show; we’d rather it be seen for the first time in the show on Broadway.’ And I thought about that experience and said, ‘Oh my God. I was the first person to sing it here in this country.’ It blows my mind. And who knew that song would become so iconic? It’s like ‘New York, New York.’"
Check out Randy Graff's performance of "I Dreamed a Dream" below, and don't miss her Brooklyn-centric solo show at 54 Below on February 17 and March 5.